Join The MROC Team Today! If You Have Enthusiasm, A Positive Attitude, And Want To Join A Growing Team, Then We Have THREE Fun And Rewarding Positions Just For You! Learn more about Our Mission, Our Expectations, And Our Opportunities Below! 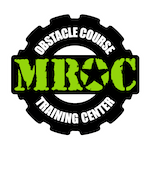 My name is Mike Confer and my wife, Krista, and I run a very unique gym called MROC: Obstacle Course Training Center. We get the privilege of spending our days helping folks who are looking for a fun and effective way to achieve their fitness goals, especially those that involve training for a specific mud run or obstacle course event like a Spartan Race, Tough Mudder, or American Ninja Warrior. Business is booming, so we’re on the lookout for new team members to help us keep up with the demand! We’re looking for enthusiastic, positive, and hard working Group Fitness Trainers, Youth Coaches, and Open Gym Attendants / Fitness Interns that believe in our mission and share our passion. Infectious energy, a warm and positive demeanor, passion for obstacles, and the ability to connect with people is what we’re looking for most. The rest can be taught, and we are happy to teach! Our hiring process is not quick and easy! We are going to ask you to jump through a few hoops to prove you have the character we’re looking for, as well as demonstrate that your values align with our mission and vision. You will have at least 2-3 interviews. We take our time to make sure you are someone we want to invest our resources into. You must have what it takes to be a part of the MROC Army…we do not want just anybody! We want a team member willing to grow with us for years to come! Teach new members how to move properly (1-6 people/session): Everyone who joins our gym must go through a fundamentals program where they are taught how to maintain midline stability while pushing, pulling, climbing, and crawling. During these introductory classes you will use our system to teach the basic lifts (squat, deadlift, and press) using barbells, dumbbells, and kettlebells. 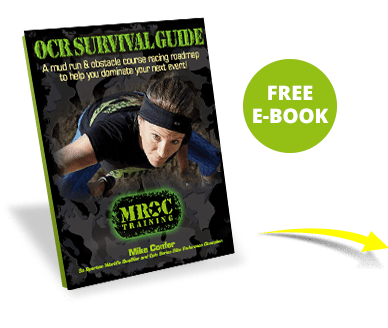 You will be teaching our new members how these movement patterns are applicable both inside/outside of the gym, and relevant in Obstacle Course Racing. Instruct group classes (6-18 people/session): We currently serve 100+ members in a group setting averaging 10-12 people per session. These classes are high intensity, full body workouts that blend weight training, calisthenics, running, and obstacles in a short term periodized cycle. You will be teaching these classes following the program that is written by our coaching team. Coach workshops & events: We host at least one workshop per month. Each of these clinics focus on a particular skill, like running technique or Spartan Race obstacles. Our entire coaching team works together to execute these events. If this positions screams out to you, please email us and include a resume, reference sheet, and cover letter explaining WHY you think you will be a great fit! Instruct Youth Warrior Classes (ages 7-10): Teach kids how to be strong, confident, and agile, work as a team, and encourage others; inspire them to face their fears, try new things, and celebrate each others success; and balance obstacles & exercise to make working out fun. Instruct Teen & Adult Ninja Classes (ages 11 & up): Create a series of progressive obstacle specific workouts and courses inspired by the show American Ninja Warrior, applicable for athletes of all skill levels. Advanced understanding of biomechanics and exercise science (GFT Position Only): If you are going to teach people how to move, you have to know how the body works. You must understand how the body responds to exercise and why we program activity at a specific duration, intensity, and frequency. Therefore, you must already possess a nationally recognized fitness certification or degree and have at least 2 years training experience to be eligible to coach any of our classes unassisted. Personality & Etiquette: You will be engaging with our athletes, who are VERY important to us, and prospective members, who are also important. We need you to be attentive and inspiring at all times, and you must know how to conduct yourself professionally (conversing in person and even on the phone). We’ll teach you everything that is expected of you, but we cannot teach you charisma or manners. Integrity & Aptitude: You must be trustworthy. We are building a team of people who speak plainly and truthfully, and do not cut corners ethically. We also need teammates who learn quickly and demonstrate the ability to proficiently absorb information. Punctuality: We need you to be on time… ALWAYS. If you have these additional skills, your resume will go right to the top of the stack (but if you don’t have these skills, you should still apply because not all of these are not mandatory). If any of these positions scream out to you, please email info@mroctraining.com and include a resume, reference sheet, and cover letter detailing the position you are interested in and WHY you think you will be a great fit!